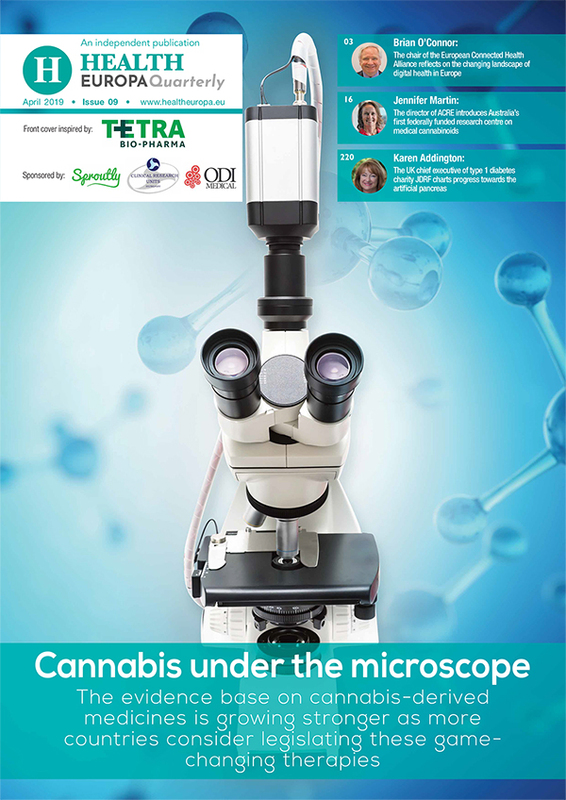 Cannabis goes under the microscope in Health Europa Quarterly issue 09, which includes a special feature on the fast-evolving medical cannabis industry in Europe, as well as dedicated sections on changing legislation and research efforts in Australia, North America and Latin America. Beginning with a Foreword by Brian O’Connor, the chair of the European Connected Health Alliance (ECHAlliance), this edition also explores viable digital solutions to some of the most pressing healthcare challenges facing us today. Health Europa Quarterly issue 09 focuses on the regulatory environment for medical cannabis and hurdles to patients’ access. pharmaSuisse reacts to the Swiss Federal Council’s decision to open up access to cannabis-based medicinal products for patients. Can digital health solutions live up to the hype? With healthcare services across Europe coming under increasing pressure to deliver more and better services with fewer resources, Health Europa Quarterly issue 09 examines whether innovative digital technologies could transform healthcare delivery. MedCom’s Anna Seeberg Hansen and Jane Rasmussen explain why enhanced data sharing and continuity of care are central to Denmark’s digital health priorities. By 2020, chronic diseases are expected to account for 73% of all deaths worldwide. Health Europa Quarterly issue 09 takes an in-depth look at three of the biggest culprits: diabetes, cancer and cardiovascular disease. Health Europa Quarterly highlights recent research into the relationship between congenital heart defects and poor cardiovascular health in later life. Other issues of Health Europa Quarterly can be found by clicking here.